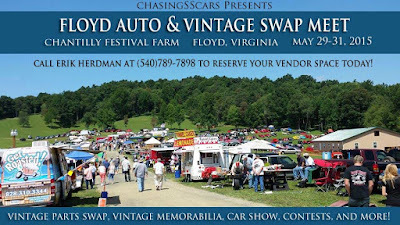 Floyd Virginia a beautiful little town in the Blue Ridge Mountains known for its artisans, mountain musicians, organic and subsistence farming, music festivals at Chantilly Farm,friendly people, good food, fiber optic internet service, Potters, fine artist, and a great place to live. 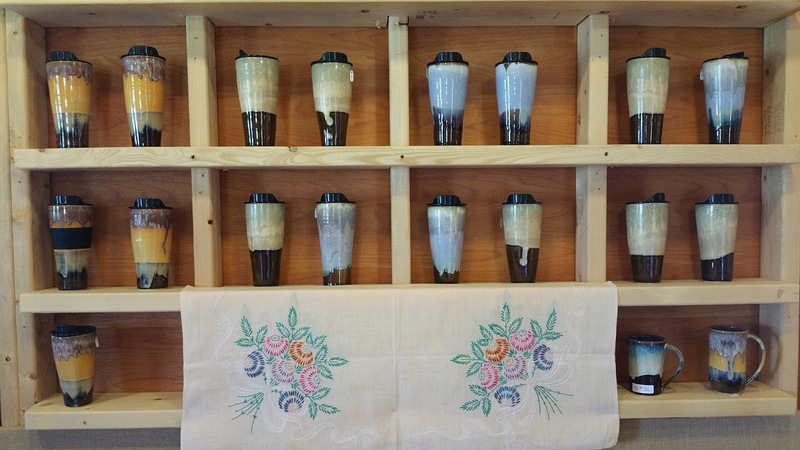 Chantilly Farm is excited to host featured artist during our events. Our artisans are designers who capable of superior workmanship, show outstanding creative ability, and exhibit exceptional skill in their area of expertise. This is an opportunity for the featured artisan to showcase their work and a great chance for shoppers to purchase unique items when attending Chantilly Farm events or camping during our events. Whitney Copenhaver, with Photos by Whitney (http://www.photosbywhitney.net/), showcased her amazing photography during our 2017 annual Bluegrass and BBQ Festival. 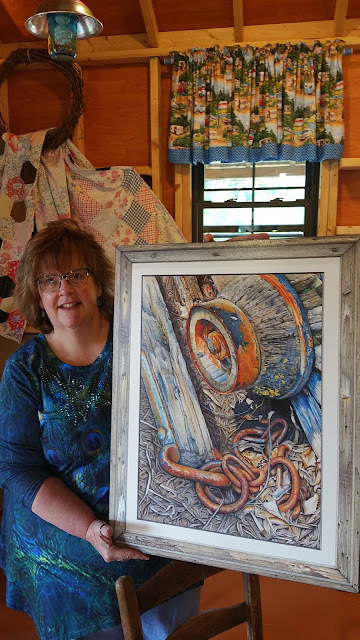 Jennifer Carpenter (on Facebook at JPCarpenter/Art) amazed us by her creativity with colored pencils during Floyd Auto Fair & Vintage Swap Meet. This drawing is not framed, but the frame is sketched by colored pencils. 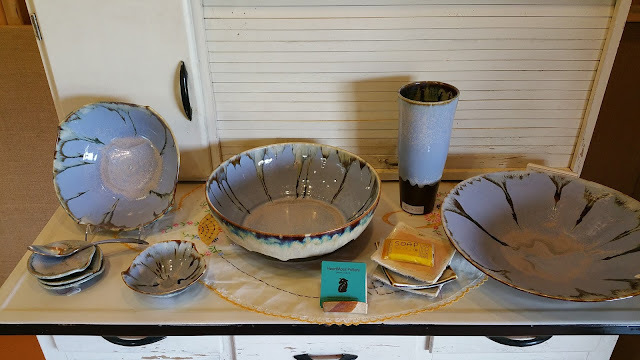 Hannah Martin, with HeartMoss Pottery (https://heartmosspottery.com/), showcased beautiful and unique pottery during the Gospel Jubilee event with Jason Crabb. Come to the Chantilly Farm Country Store and Canteen during our upcoming events to check out our featured artist, an element of the farm experience you will not want to miss. Browse, treat yourself, or purchase a unique art piece for those hard-to-shop-for people on your list. Upcoming featured artists will be at the following events: Floyd Livestock and County Fair on September 9. Check our Facebook page for specific times. 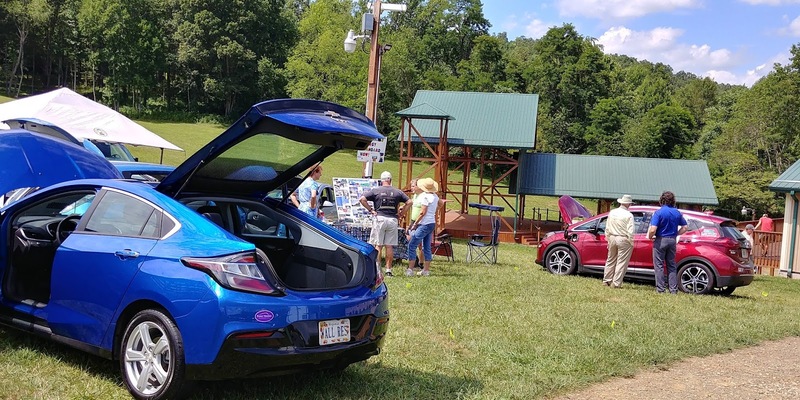 The Floyd Energy FAIR presented by the non-profit organizations SustainFloyd and Apple Ridge Farm at Chantilly Farm in Floyd County Virginia was well received with a larger than expected enthusiastic crowd. A variety of vendors provided information on uses of solar energy, electric cars, how to conserve energy and other conservation & renewable energy ideas and methods. A wonderful variety of food was provided by food vendors in the event barn and at the outdoor shade pavilion. 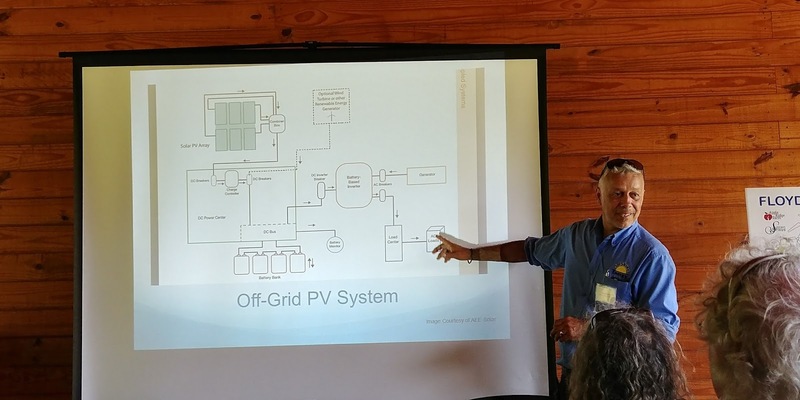 Rick Brown owner of SolShine Energy Alternatives lectured to a full classroom of more than 40 people about what is new in solar energy and how to benefit by using solar energy in your home. There was a lot of interest and a good question and answer session. If you did not attend the Energy FAIR you missed six excellent educational lectures by the experts. The "Fork Mountain Ramblers" provided music from 12 to 2 PM in the shade pavilion next to the store. The folks in the pavilion enjoyed county food from "Bootleg BBQ" and other food vendors along with the good music. Check this out in the schedule to the left. 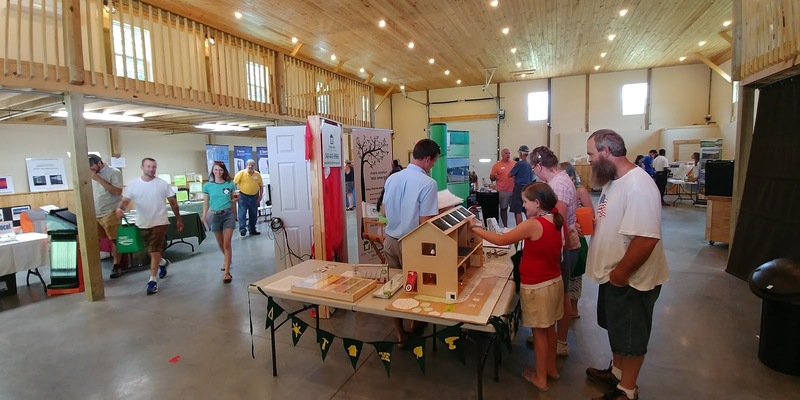 About a dozen vendors inside the Chantilly Farm barn provided information on a wide variety of energy conservation topics including how to measure and use renewable energy to build solar/wind systems. Red Rooster a Floyd business provided coffee and Plenty a local food bank, farm & more provided food in the barn. The electric car vendors were popular with folks looking for ways to save energy. Energy FAIR visitors enjoyed the other outdoor vendors along with Food & Music under the shade pavilion at the Chantilly Country Store & Canteen. 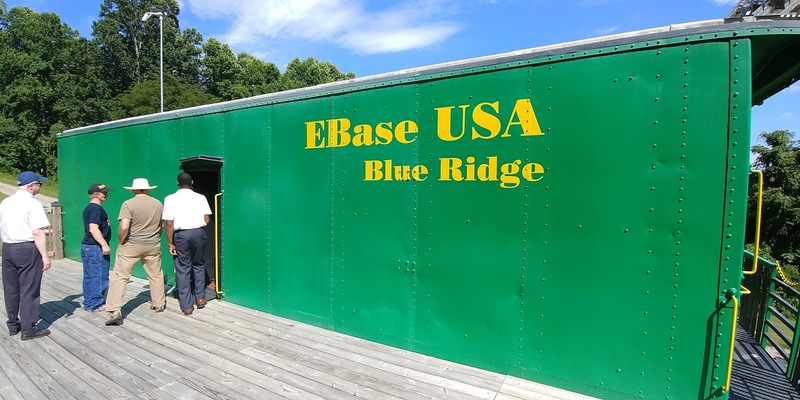 Offsite tours were popular to Apple Ridge Farm and a visit to there EBase USA center. 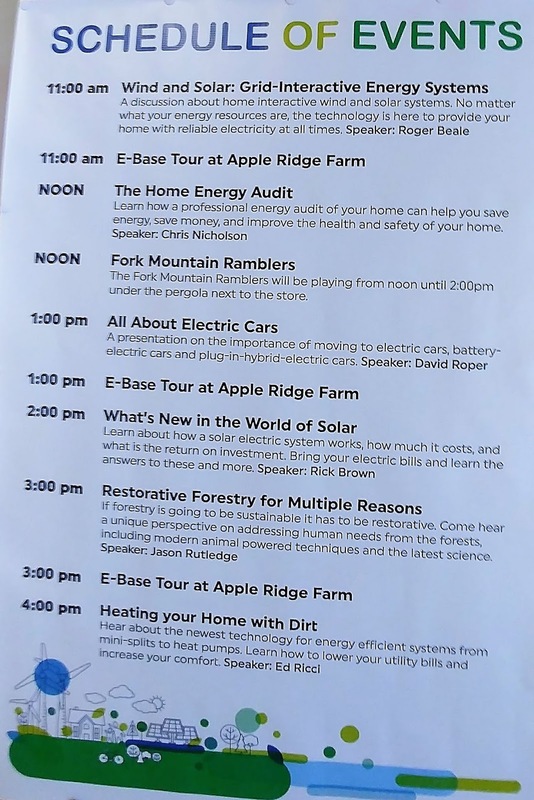 Inge Terrill gave lectures about the EBase center at Apple Ridge Farm. The EBase (Education Base) USA is part of a global EBase movement started by Sir Robert Swan a polar explorer and environmentalist. EBase is an off-grid classroom powered by wind or solar energy. The EBase at Apple Ridge Farm is the first in the Northern Hemisphere. This was an eye opener for us to have this facility here in Floyd. The Apple Ridge Farm mission is to transform the lives of our community’s underserved children and the families through engagement in unparalleled educational, cultural & outdoor experiences! 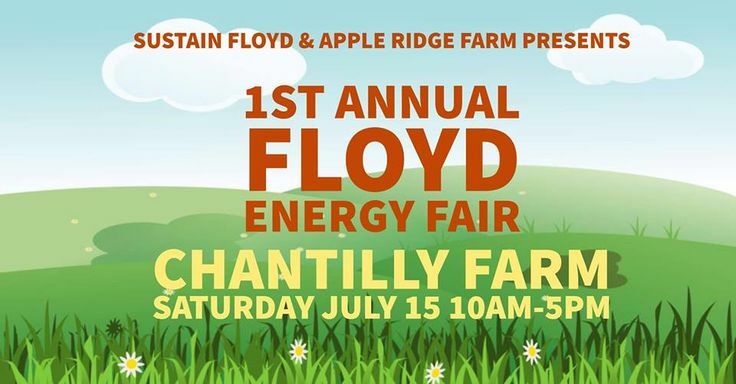 It was a pleasure to have "Sustain Floyd" and "Apple Ridge Farm" organize and present the Floyd Energy FAIR at Chantilly Farm. I personally improved my knowledge about the application of renewable energy for many useful projects. Chantilly Farm already uses solar hot water in our bath houses for heating and domestic hot water. This is proving to be a very effective energy saver. 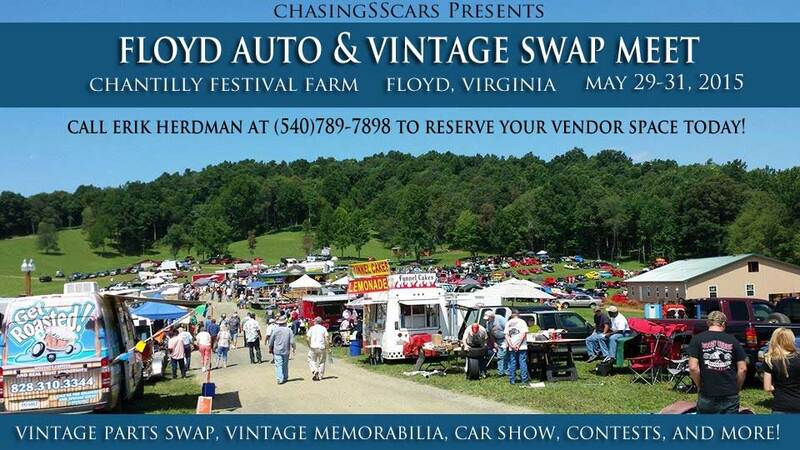 We are looking forward to partnering with the Floyd Energy FAIR promoters and making this an annual and growing event here in Floyd, County, Virginia. "By David Larsen" Chantilly Farm, Floyd Virginia. Forest bathing: what is this? The short interpretation is using the forest for relaxation and stress reduction by simply walking, observing nature, resting, listening to sounds, in a beautiful forest. 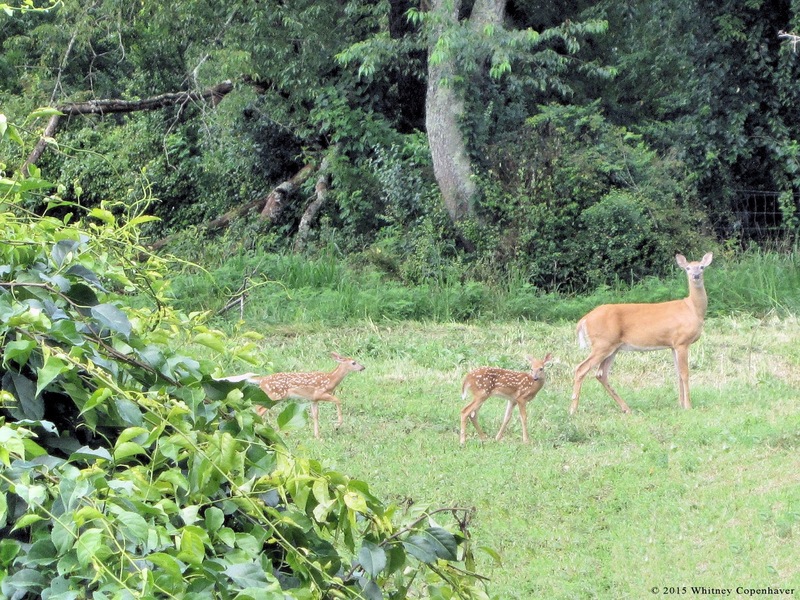 Chantilly Farm has about 100 acres of incredible forest land with at least 20 varieties of hardwoods and many wonderful flora, fauna and fungi. Does forest bathing really work? Yes, there are many scientific studies that prove that it's really true and you can get beautiful results. The Japanese were the first to use the term forest bathing in 1982. A trip through the forest includes pleasant visual views and the aroma from the trees and plants. There are real beneficial compounds emitted by the forest vegetation. Even the quietness of the forest or the breeze causing a musical sound in the leaves and branches help create what is known attention restoration theory (ART). If you want to lower your blood pressure, improve you immune system, lower your heart rate and increase your feeling of well being then join us in the Forest of Chantilly Farm. The forest at Chantilly is idyllic - hiking & bike trails, great views, abundant wild game and birds, and a small spring fed stream. We are even building a "hidden garden" and when you find it you will love the tranquility. 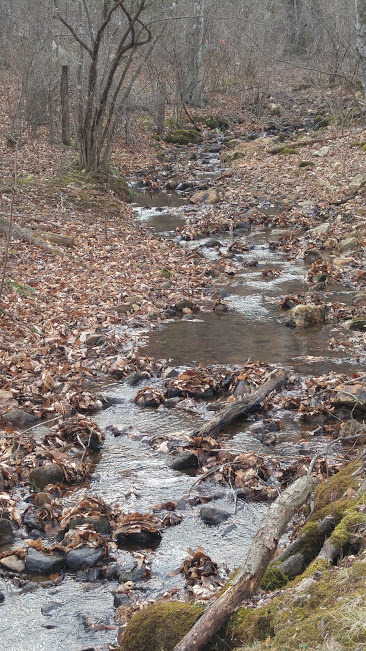 stream provides a wonderful relaxing sound. have a few steep parts along the trail and if you have any hiking handicaps you will need to be careful. Trails B and C are new and start just below campground B. Trails B and C are easy hiking with no steep areas, and are accessed by crossing a small stream using Tranquility Bridge to the trail area. Trail B (bright orange ribbon marking) is very short and an easy hike of less then 1/4 mile, and Trail C (pink ribbon marking) is also an easy hike of 1/2 mile. There is an abundance of photographic opportunities in "The Forest at Chantilly" - dozens of different flora and fauna provide beautiful subjects for pictures. In addition to the diverse plant and animal variety, there are several types of fungi, and beautiful white /clear quartz rocks of many shapes/sizes. You will find some rare flora near beautiful small spring fed streams in parts of our forest. Previous visitors have also used the white quartz rocks to make fairy or gnome houses. Be on the lookout for these beautiful structures. Please take the time to make your own fairy house from the bits and pieces of wood and rocks along the trail. This can be a wonderful way to relax and clear your mind of stressful thinking. If you have some food, you may want to leave a meal for the fairies (here is their favorite food click). The mountain views and sunrise/sunsets can be spectacular here in the mountains. For people with a creative mind, and those desiring to cultivate their creativity, there are endless benefits to be gained from forest bathing in "The Forest of Chantilly." When visiting the farm, please sign in at the farm office and let us know you are going to be out in the Chantilly Forest. Camping under the stars at Chantilly Farm. 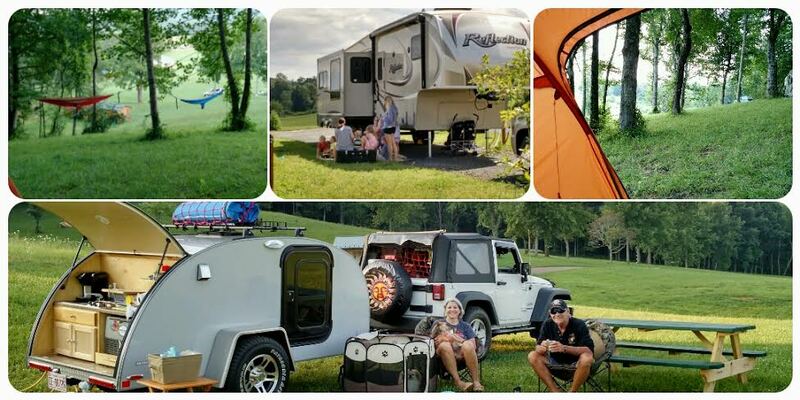 You can camp at Chantilly Farm and enjoy the great outdoors and nature here in the heart of the Blue Ridge mountains of Floyd, Virginia. Chantilly Farm is near the Blue Ridge Parkway at mile post 150. A forest bathing trip involves visiting a forest for relaxation and recreation while breathing in volatile substances, called phytoncides (wood essential oils), which are antimicrobial volatile organic compounds derived from trees, such as α-Pinene andlimonene. Incorporating forest bathing trips into a good lifestyle was first proposed in 1982 by the Forest Agency of Japan. It has now become a recognized relaxation and/or stress management activity in Japan and the USA. Here is some interesting research by Cimprich B. in 2007. May is just around the corner! 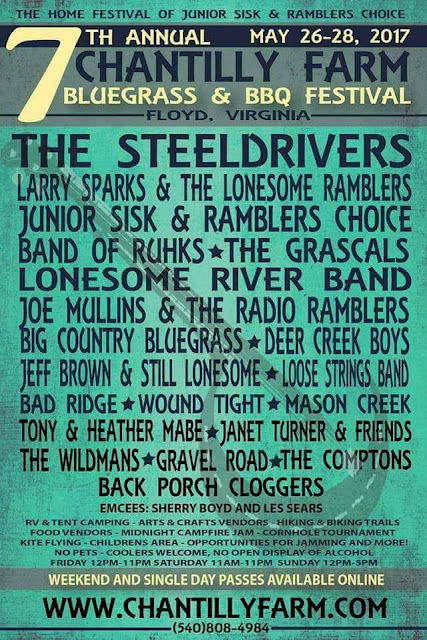 Make plans now for one of the hottest bluegrass events of the summer! Get tickets now at www.chantillyfarm.com and don't forget, kids 12 and under are free! 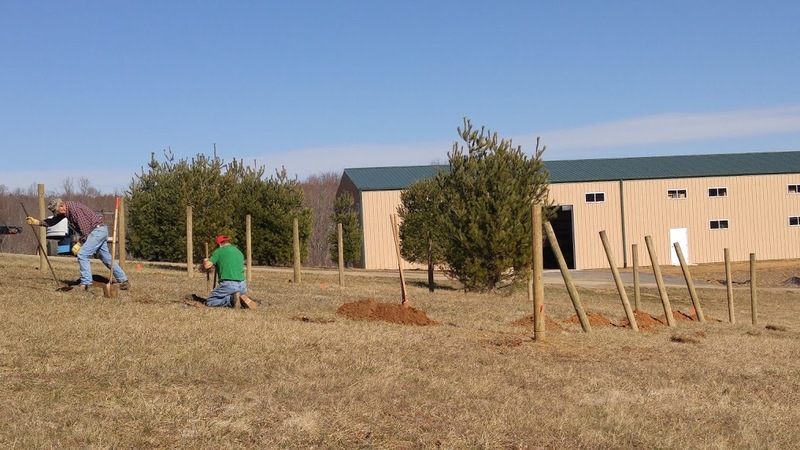 Chantilly Farm busy with projects - The new dog "Bark Park"
We are always adding to Chantilly Farm for events, festivals, weddings and the campground. 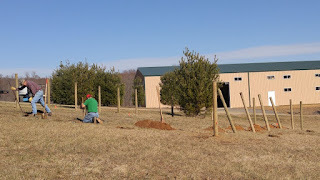 Just finished a dog run for campers to allow the dogs to run loose. 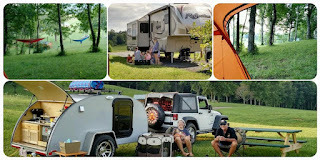 Bark Park is the name of our dog run area however we do hope that it does not create a lot of barking as it is real close to the RV campground. I was going by yesterday and some campers were using the Bark Park with a couple of beautiful tiny dogs chasing a ball around the park. 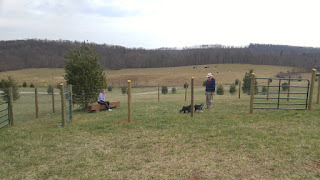 Ed and Aleno building "Bark Park"
We can thank our Chantilly craftsmen Ed and Aleno for their skill in building the park. 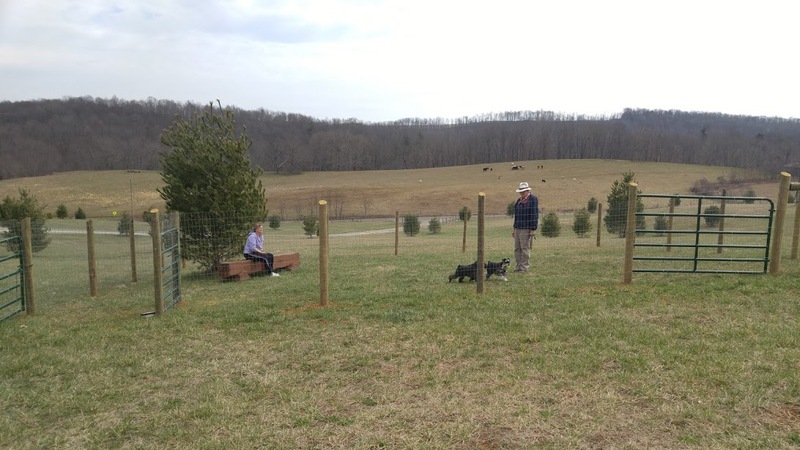 They did a fantastic job the dogs already love the "Bark Park". 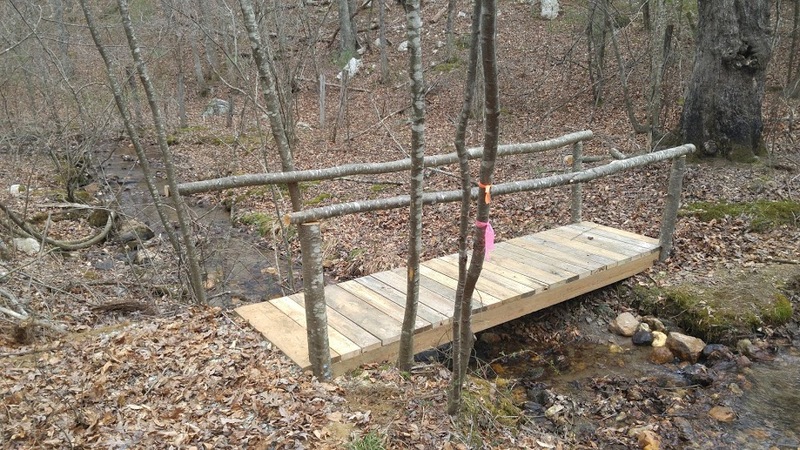 Ed and Aleno have just finished a pedestrian bridge across the little stream to the new hiking trails "B" and "C" near campground B and the RV area. The new trails are fantastic and I will talk about them in the next blog. 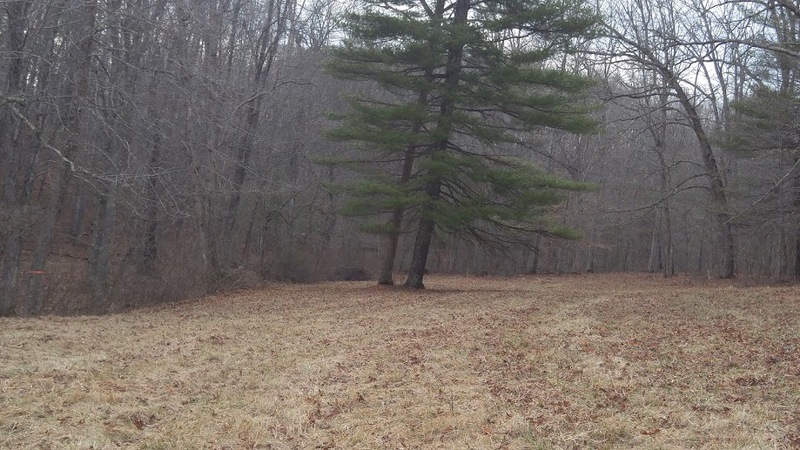 It will not be long and Ed and Aleno will be mowing the 40 acres of beautiful grass fields at Chantilly Farm. Their are many projects in progress at Chantilly Farm - Paul Sullivan leading new Bike Trail building effort- Terri and Camelia are decorating the interior of the Chantilly Country Store. 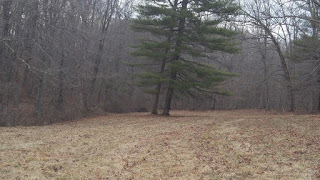 Chantilly Farm forest areas are just great for "Forest Bathing" and we will be writing about this in near future. Our first big festival is just around the corner - The Chantilly Bluegrass and BBQ festival May 26-28. "by David Larsen" Having fun at Chantilly Farm. You can see from the stage we had a big crowd - 15 great Bluegrass bands during the 2 days. 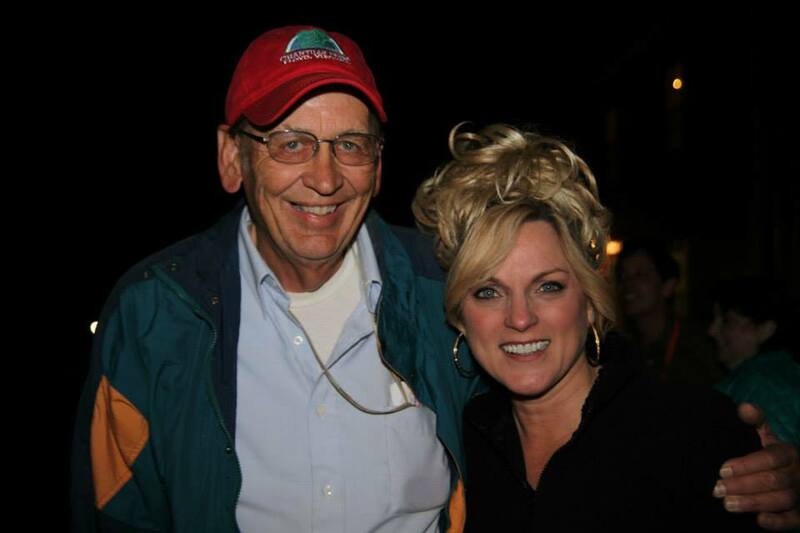 Our Headliner was 'Queen of Bluegrass' "Rhonda Vincent and the Rage" Check out Rhonda's Web Page "CLICK"
View the festival events - Short video "CLICK"
Queen of Bluegrass "Ronda Vincent's" ride. It is exciting to see the artist buses come into the farm. Here is the "Martha White" Bluegrass Express , Rhonda Vincent's ride. We had 4 big rigs like this on Saturday. Many of the bands come in smaller vans or car caravans. That is me your blog writer with Rhonda - She is a very gracious lady. This is my wife Gaynell - she is the host for the bands. Rhonda gave a special Martha White collector skillet for baking the Martha White cornbread to Gaynell. A big honor for our Chantilly Farm Venue - The Farm was designated an "Affiliate Crooked Road Venue"during a special ceremony at the Bluegrass Festival. 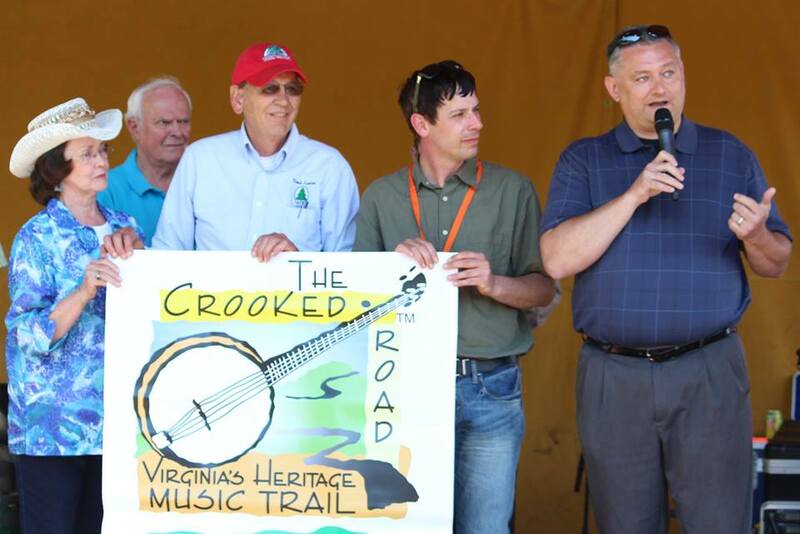 The Crooked Road in the State official - Virginia's Heritage Music Trail. Short video gives overall view of the car show "CLICK"
More then 100 show cars. Parts vendors at auto show. 350 parts vendors at the Floyd Auto Fair. 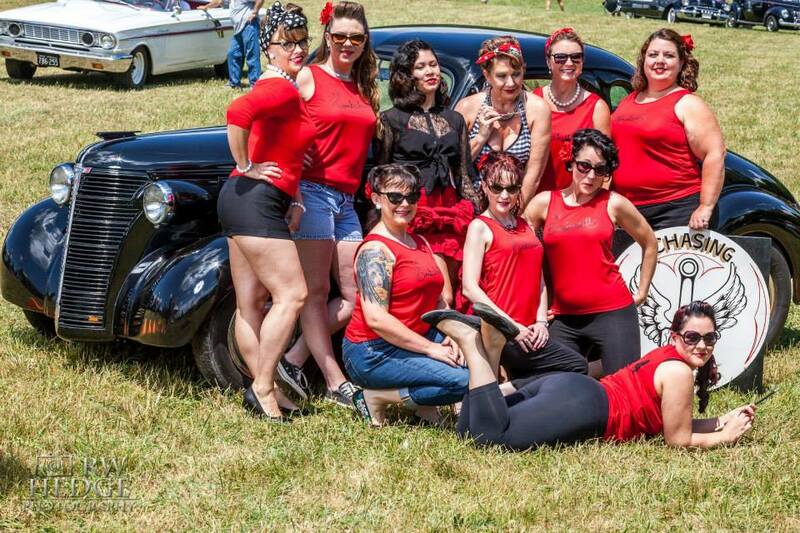 Some of the fun events - The "Bombshells" - they livened up the Auto Fair. Your blogger guy "David" lives here! Copyright 2012-2014 Floyd Virginia . Picture Window theme. Powered by Blogger.